This adapter has two center holes and no center pins. 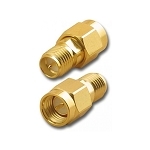 RP-Sma Female to SMA Female 90 Degree Adaptor. Need to lay your VTX flat or just get the antenna to stick out 90 Degrees, This little Elbow will do the Trick. 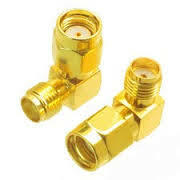 It will connect an SMA antenna to an RP-SMA transmitter/receiver.